Let me admit at the outset that I am not a play reader, although I do love to go to live theater, and it is a lifelong dream of mine to see The Mousetrap performed, preferably in London. 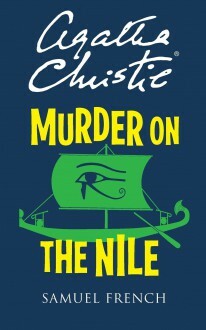 It's also important to note that Death on the Nile is one of my favorite of Christie's mysteries - the setting is wonderful, the characters are well-drawn, and the solution is satisfying even if there are rather too many side-plots going on in the book. I will talk further about all of those elements next month, because Themis, BrokenTune and I (and anyone else who would like to join us) are going to do an Agathytes buddy reread of this delightful mystery around the middle of May. For now, though, I will confine my remarks to this play. My edition was published by Samuel French, and was ordered from Amazon. Along with the script, it contains a character list, a stage schematic, a Furniture and Property Plot and a Lighting Plot. The Furniture and Property Plot was actually fairly interesting, and the Lighting Plot went right over my head. I have never seen this play performed, although when I was googling about, I found information that a local theater actually performed it a couple of years ago, which left me quite bitter. If I had known it was being staged, I absolutely would've gotten tickets for it. However, reading the script did make one of the primary complaints that I've read about this play quite clear to me. There is absolutely no real connection to the setting here. Egypt is mentioned, the Nile is referenced, but this is a play that occurs primarily in a single room - the observation saloon on a paddle steamer nominally travelling down the Nile. It could, however, have happened anywhere, including on the Thames. I honestly don't know how to stage this play to take advantage of the Egyptian setting, but, then again, I'm not a playwright. It certainly seems, as well, that Agatha Christie - who was the playwright - also didn't really know how to do this, as throwing in a couple of random beadsellers at the very beginning of the play, during what is meant to be the embarkation process, seems to be the extent of her efforts. Weak. The stripped down nature of the play, as well, means that we don't really get a lot of character development. Because I've had the advantage of reading the original text, and having seen the Poirot adaptation, I attributed much of the character depth from other sources to these characters. Someone just seeing the play, I'm afraid, wouldn't have the benefit of that depth and would likely feel that the play itself left a lot to be desired in terms of character development. Kay, in particular, felt extremely thin. Perhaps actors who are also familiar with the source novel would be able to imbue the characters with the depth that they lack through their performances. I don't know. Canon Pennefather takes the place of Poirot, which was actually fine for me. Poirot might have overwhelmed the production with his fussiness and his mannerisms anyway. Notes for the Agathytes: As I've previously mentioned, Canon Pennefather "reappears" with a slight name change (Canon Pennyfather) in At Bertram's Hotel, approximately 20 years later. The characters are completely different in personality, however. 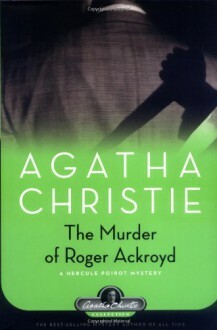 Kay is the name that Agatha Christie chose for Linnett Ridgeway in the play. I thought that was actually somewhat interesting, because Kay is also the name of the second wife, Kay Strange, in Towards Zero, a book that was published in 1944, which was also adapted as a play in 1956. The play was first performed that same year. There are some physical similarities between the two Kays. Agatha does like to recycle. In terms of the endings, I'll talk about this more when we reread Death on the Nile, but there were some crucial differences between the ending of the play and the ending of the book. Reading progress update: I've read 42 out of 104 pages. The framework of Death on the Nile is definitely there, but it feels very bare bones. Canon Pennefather as he exists in this play seems to be a completely different character than the Canon Pennefather who is in 1965s At Bertram's Hotel, although he was approximately 20 years older the Marple novel versus this 1946 adaptation. He definitely takes the place of Poirot, even to having overheard the restaurant conversation between Simon & Jackie that occurred prior to Simon meeting Kay (Linnett). I do love the fact that she brought over the metaphor that both Simon and Jackie use to describe Simon's falling for Kay (Jackie is the moon/Kay is the sun, which drowns out the moon with its brightness), as that was one of my favorite little clues from Death on the Nile. Reading progress update: I've read 18 out of 104 pages. Miss Ffoliot-ffoulks is an awful person. There have been two donkeys mentioned so far: Whiskey and Soda and Whoopadaisy. Which one would you rather ride?